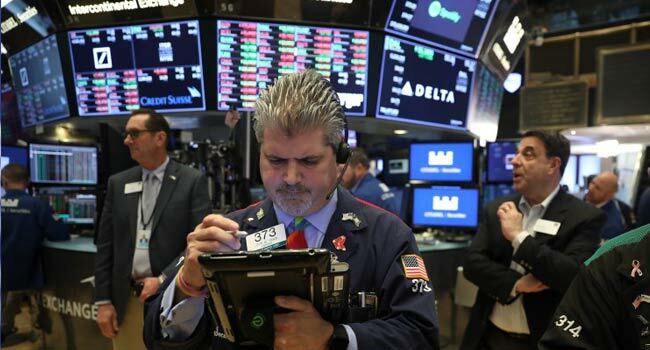 (File) Traders and financial professionals work on the floor of the New York Stock Exchange (NYSE). 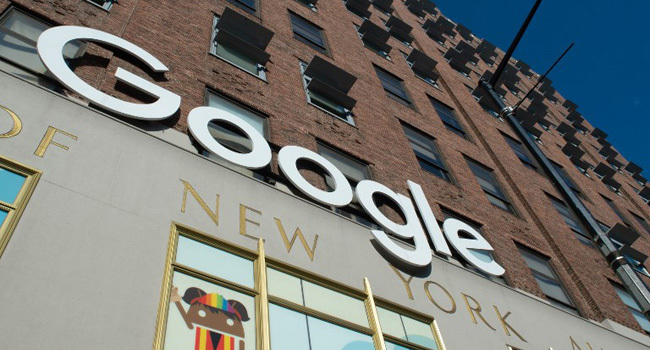 Google parent Alphabet quarterly earnings topped Wall Street expectations on Monday but shares slipped, with investors apparently focused on rising costs at the technology giant. Alphabet shares were down 3.5 percent to $1,101 in after-market trades that followed release of the earnings figures from the final three months of last year.